Look amazing and also enjoy the fine and delicate art of formal hair styling for weddings, Prom Nights, special occasions and holidays. No appointment is necessary for a consultation - just pop in for a chat with one of our stylists to discuss how we can update your look and leave you looking fabulous! 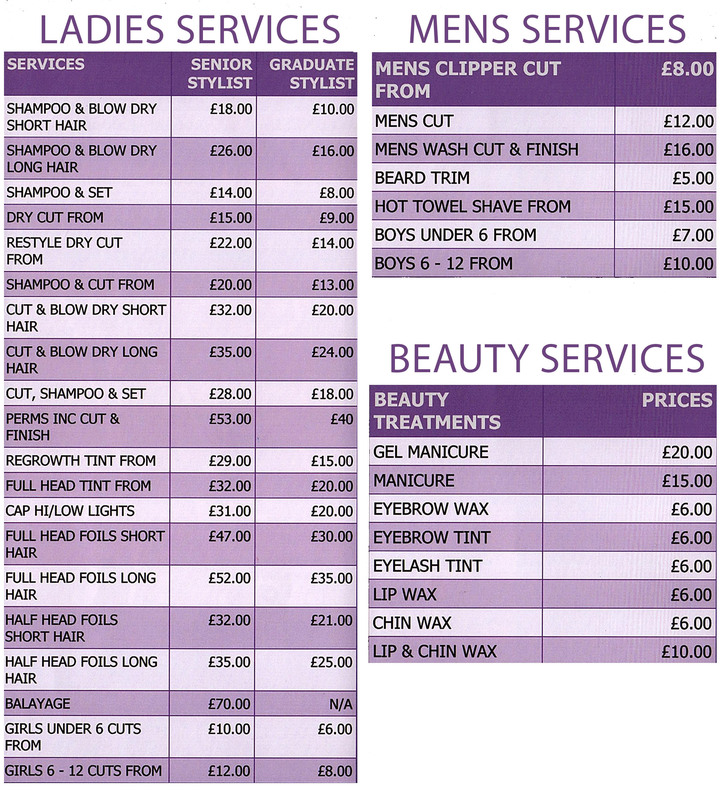 We offer a relaxed friedly atmosphere, Free Consultations, Free Parking, Bridal Packages, Gift Vouches, Loyalty Scheme and a Child`s First Haircut Certificate!